Having uneven teeth ca n affect the overall quality of your smile. 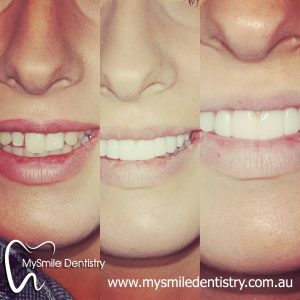 It is a common cosmetic concern but many people may not realise that there can be a functional disadvantage in having crooked teeth as well. There are a number of factors which can contribute to the development of crooked or uneven teeth. This includes genetics, dental crowding, periodontal disease, thumb sucking or pacifier use, loss of teeth or an injury to the face which can result in the teeth moving out of place. Fortunately, there are options to correct these problems, leading to a healthier and happier smile. Patients considering treatment will be advised about the different types of braces to better suit their preference and needs. This includes the use of metal or traditional braces, ceramic braces and lingual braces. Each of them has their own set of pros and cons that you may want to discuss with your orthodontist. It should be noted that many adult patients are being discouraged from seeking treatment due to the stigma associated with metal braces. Fortunately, modern technology has provided a very good alternative through the use of Invisalign. Invisalign straightens the teeth through the use of clear aligners which are almost invisible to the eye. This gives people the added confidence they need as they are able to undertake treatment with minimal change to their physical appearance. In addition, the Invisalign aligners can be easily removed and have no metal brackets attached or wires which require tightening. This offers patients a huge amount of convenience in their everyday life. Invisalign does indeed offer a wide variety of benefits to its wearers and there are costs associated with all types of treatment. Metal or ceramic braces can range from $3,000 to $10,000. Invisalign treatment can range from $4,000 to 7,400 and lastly, lingual braces can cost from $8 000 – 10,000. 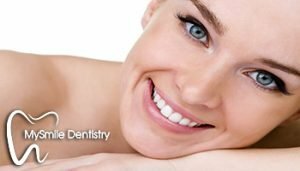 To discuss whether braces or Invisalign treatment may be best option for you, find a trusted and reliable dental clinic to help you understand all your options. Schedule an appointment today to have your teeth checked and begin your journey to a happier smile.